CyberKnife® is a highly-precise radiosurgery device that can treat tumors with high doses of radiation without damaging the surrounding healthy tissue. This is accomplished using image guidance cameras to locate the exact position of tumors inside the body. Surgeons then maneuver the robotic arm – on which CyberKnife is mounted – to direct multiple, highly focused beams of radiation at the lesion from many targeting positions and angles. This delivers a cumulative dose of radiation large enough to destroy the cancerous cells. 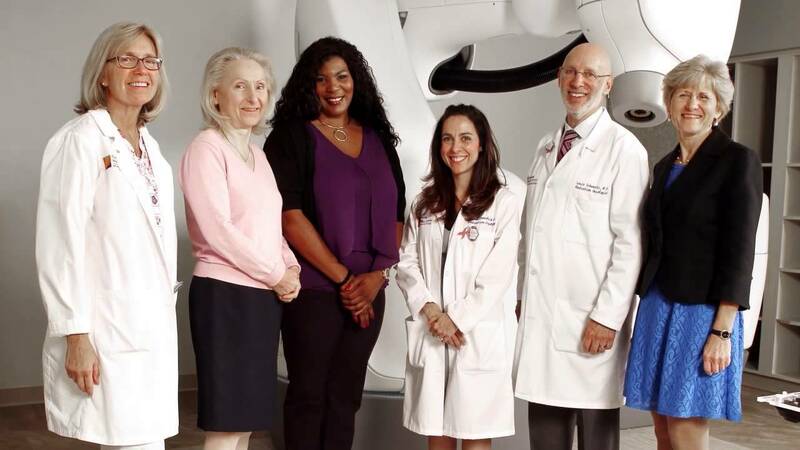 CyberKnife can also track tumor and patient movement with a high degree of accuracy, eliminating the need for invasive or uncomfortable patient immobilization techniques that are typically required with conventional procedures. I couldn't be better, if I wrote the rules. Cancer hasn't slowed me down. Overlook Medical Center is a radiation oncology accredited facility according to the American College of Radiology.